There are all sorts of people who come to our station alleging to be victims of police brutality. But rarely is it ever a seventeen year old girl from Caye Caulker. The teen in the company of her aunt came to our studios to talk about the abuse, being choked and manhandled by a police officer on the island. 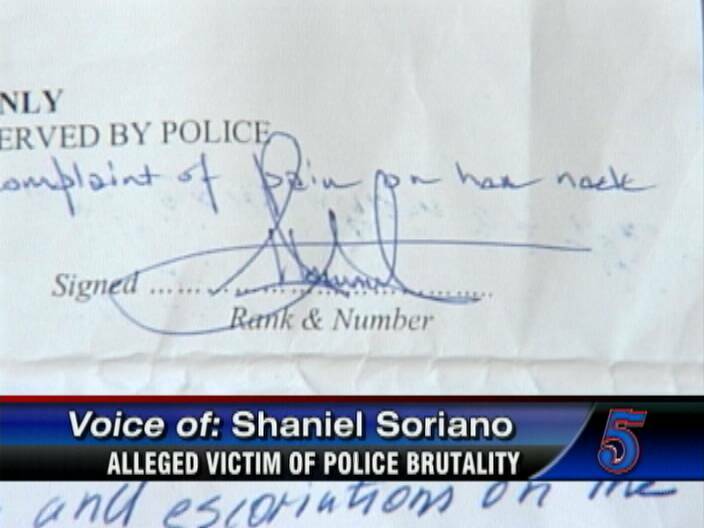 Shaniel Soriano who spoke off camera says she wants justice. 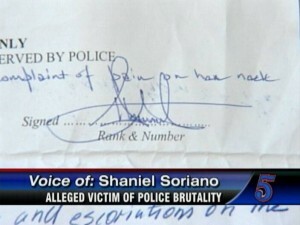 Soriano went with her aunt, Eden Velasquez, to a doctor who examined her and her injuries were classified as wounding. 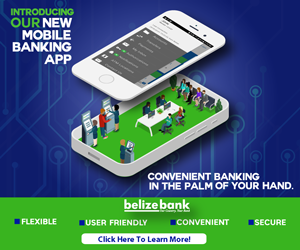 They came to Belize City today to file a report about the officer who inflicted the injuries. When the shooting stops in the City, maybe our new ComPol can look at the abusive police in the cays. I tell visiting friends straight out not to go to Caulker because it is worse than the Wild West there, including bad sheriffs. The police formation on La Isla Bonita needs a serious look, too. Maybe we need BDF units to stay in those places for a while to get them under proper control in all ways. you have the person appear off camera to seal their identity but then post her name? lol copy and paste into facebook search tab and BOOM identity revealed. smh..
By the doctor’s report, it sounds like a crime occurred. If the officer is guilty, he should get DOUBLE the sentence of a civilian committing the same crime. Brutes in uniform break the public trust, and undermine the reputation of the majority of good officers and the department as a whole. Many of these teens don’t have any darn respect for anyone, including the law. Shaniel Disrespectful comment in regards to the officer just might be the only reason she was slammed, and not so much that the police were looking for a random fight with a big mouth teen. She probably deserve what she got for having such a big mouth. This is more than once I’ve seen a police mishandle people, even a drunken man whole was punched and stomped in his face!!!! They need to realize that they are humans just like us and even to women!!! they must respect us…. might as well we govern our self than having a police fling we up like that!! Do you support a curfew given the current crime crisis?